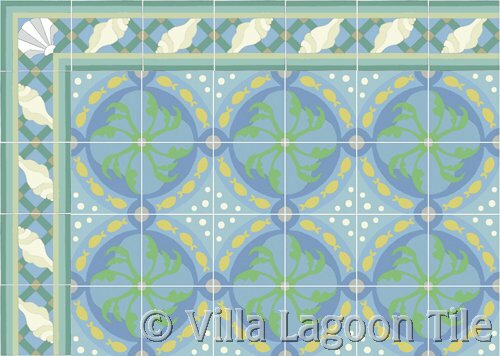 You can do almost ANYTHING with cement tiles ! 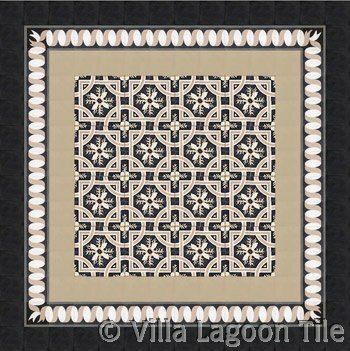 The traditional use of cement tiles is to create a tile rug design centered in a room. 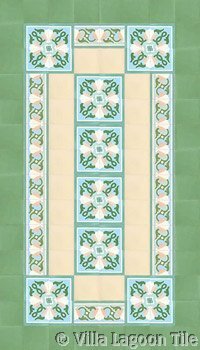 Of course it is not the only way mosaicos hidraulicos are laid, but making a tile rug in a room is one great way to lend a look of organization and visually group furniture arrangements. 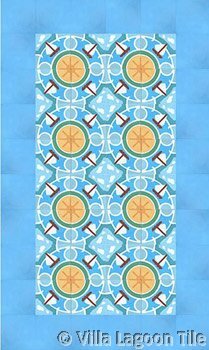 Making a tile floor rug layout also can add a feel of formality to a space. 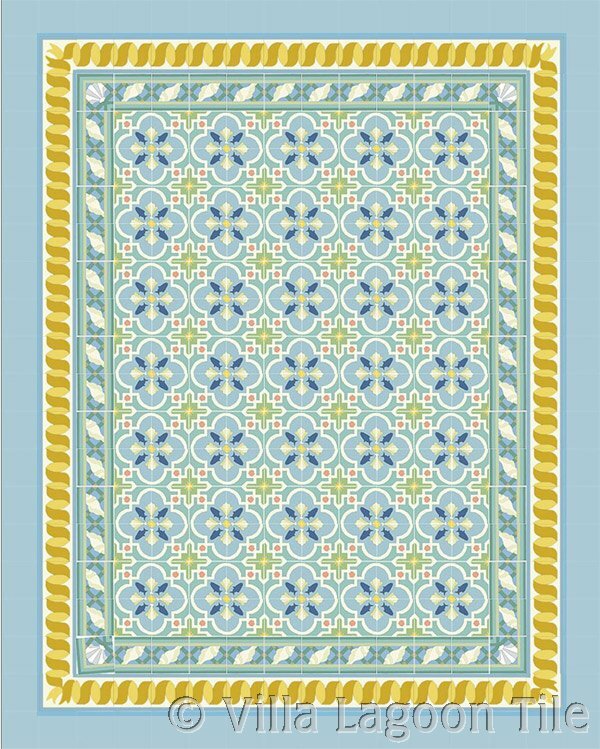 Add additoonal benefit is that you can use the patterned tile to create the mosaic tile rug and border and then use the much less expensive solid color tiles from the border out to the edges of the room. 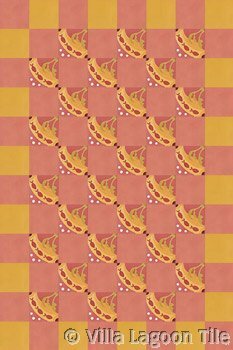 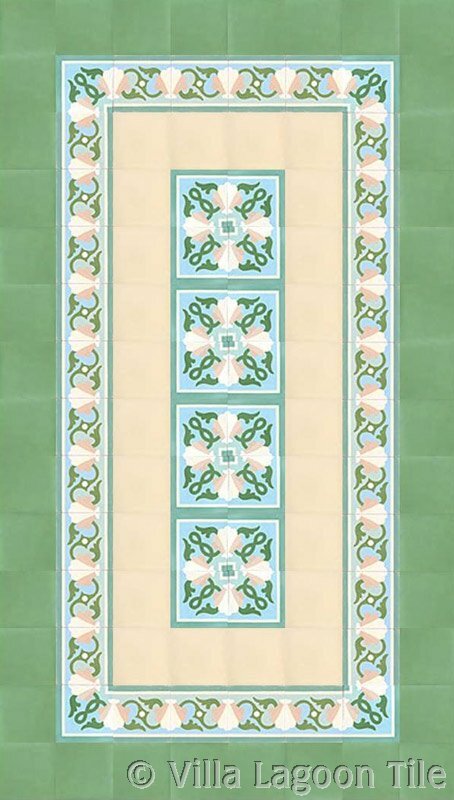 These tile floor designs below are constructed using actual photographs of tile in a graphics program. 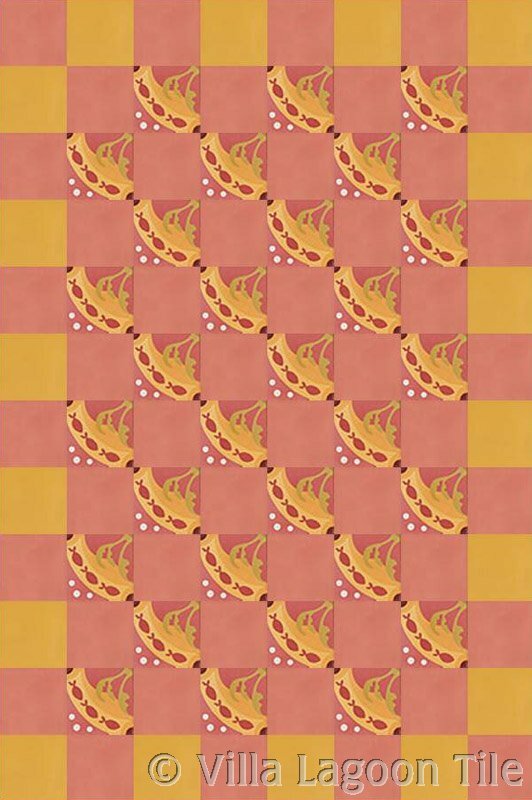 Click the images to see the details. 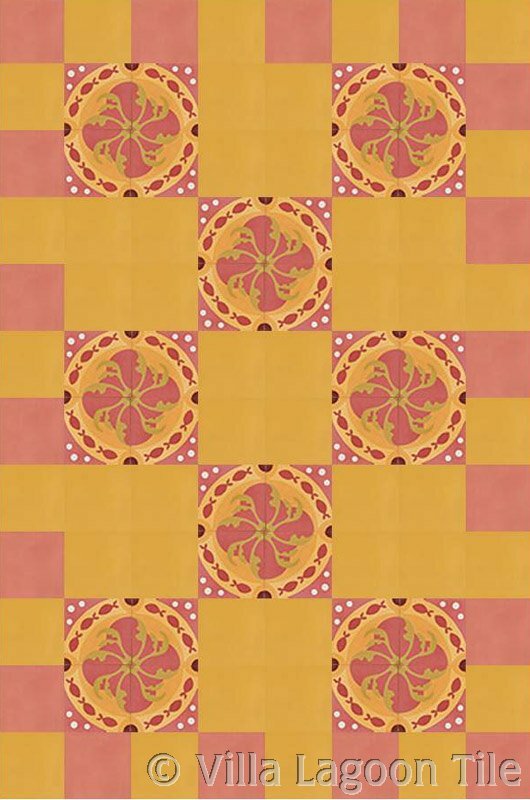 See coordinating bordered floor tile designs. This floor using Trapani Midnight tile with Ribbon Border in Taupe and solids in Black and Antique Ivory has sea shells, sea weed and interlocking trellis and is a great combo for formal setting in coastal locations. 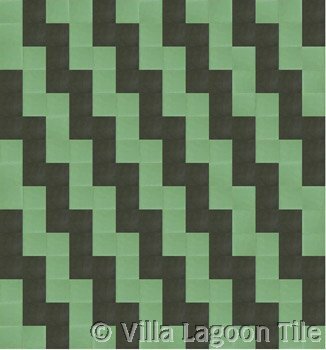 Here the Savona "Beach" has a double border and is surrounded by solid color tile. 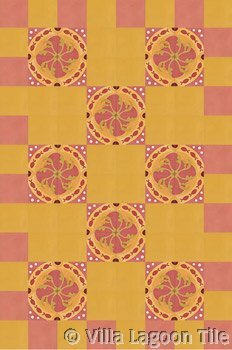 It is always a good idea to use solid color around a tile rug pattern so the less expensive solids can run up to irregular shapes along the walls or into closets. 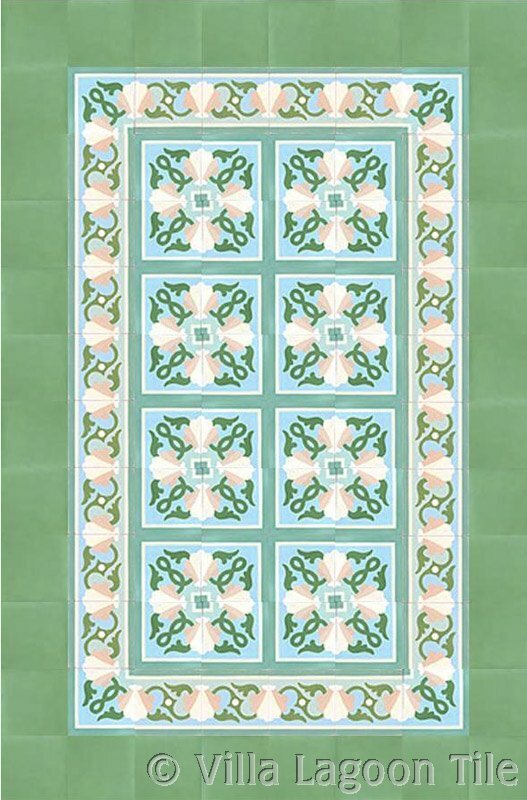 This example of a tile rug room design uses Savona "Beach' filed tile with a border of Trellis Shell "Aqua" and Ribbon "Gold" borders. 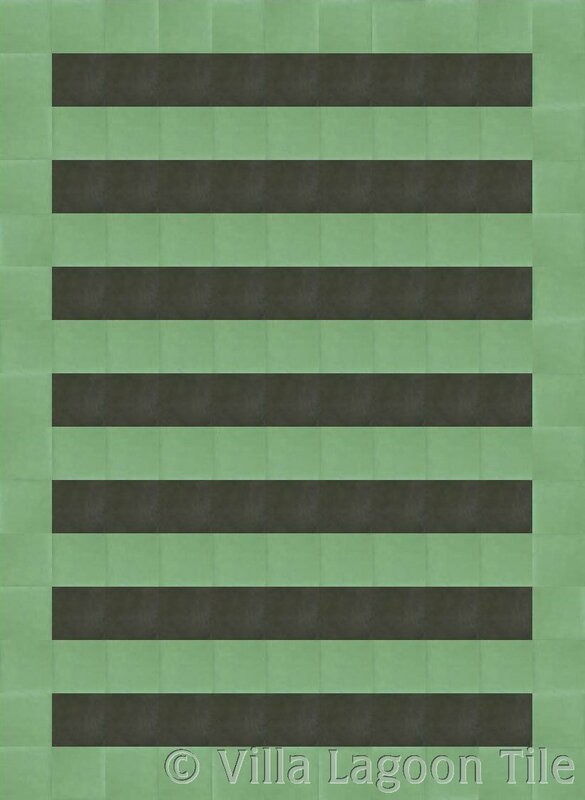 As shown, this would be a 16 tiles by 20 tiles which would be a floor that is 13.5 feet, x 16.5 feet. 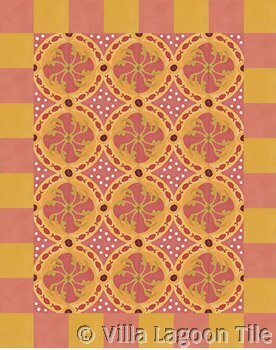 The floors above are Pescado "Coral" cement tile combined with solids of Coral, Tibetan Gold, Salmon. 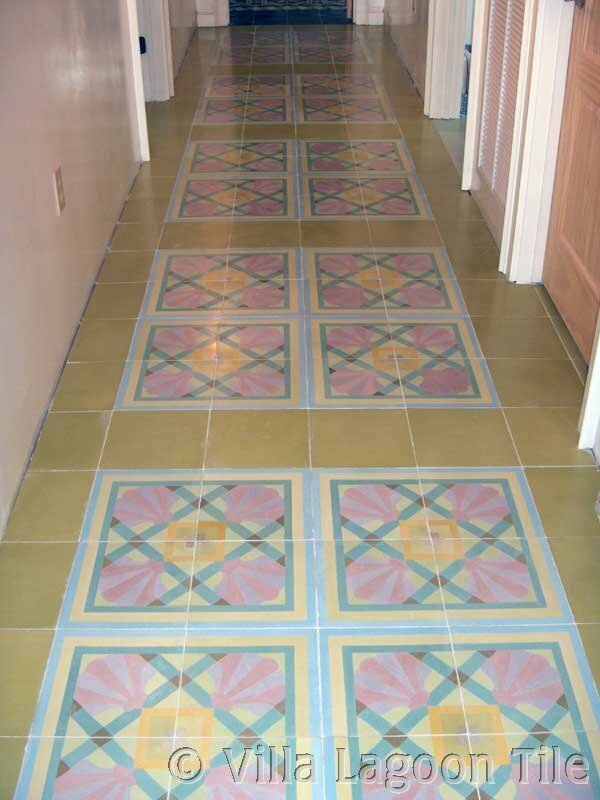 Imagine the life you can give to an otherwise utilitarian hallway by paving it with a creative cement tile design. 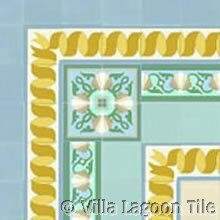 If you are using a center design and your room will require some cut tiles at the outside edges to the wall, it is best to use a solid tile around the outside and differences in width from one side to the other will not really be noticible. 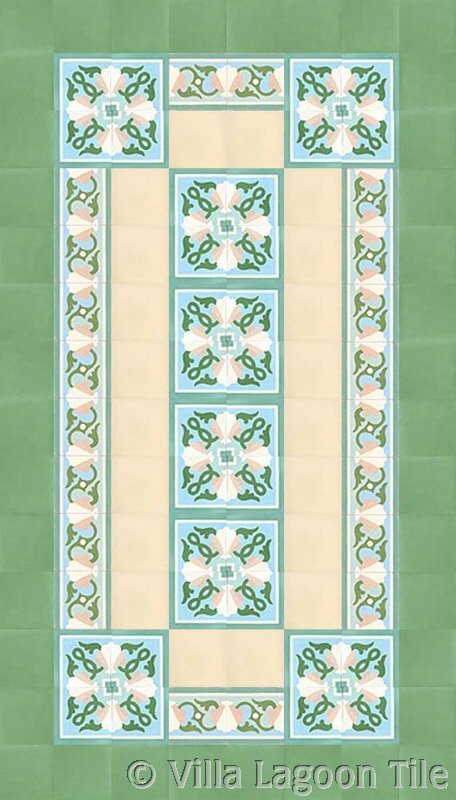 Three of these floor designs show the Shell Scroll corner tile used as a field tile in the center part of the floor. 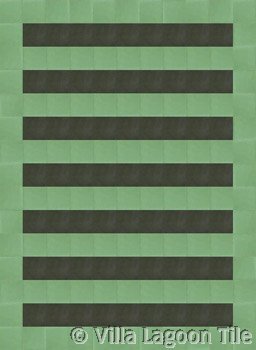 The patterned tile is combined with solids in one example. 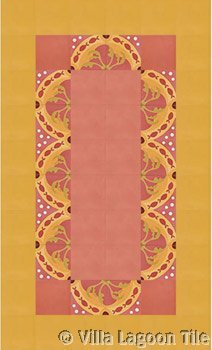 Let us help you design the perfect floor for your space. 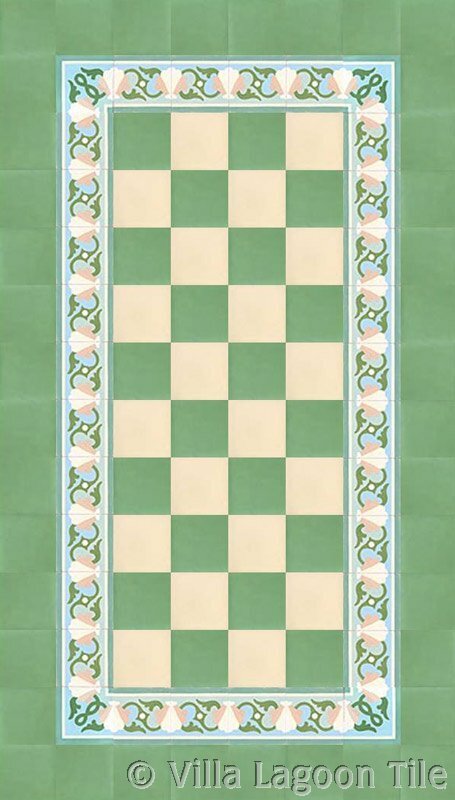 Solids make a fine border around the patterned field tile. 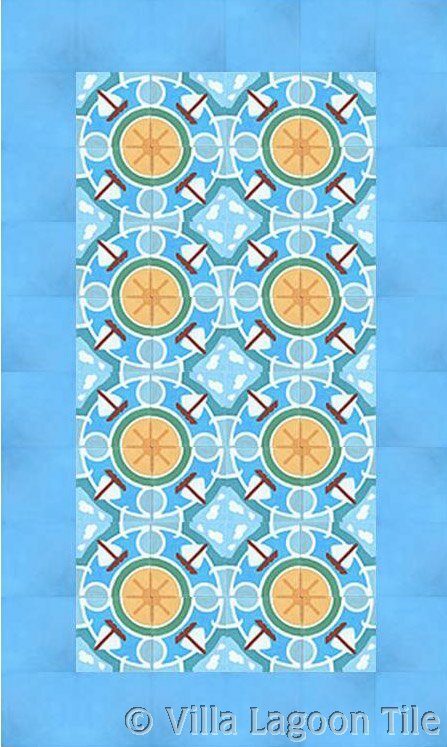 This is Sailboat "Sunnyday" and Solid Tile "Sky Blue"
Very modern, contemporary floor tile patterns are easy using cement tiles. 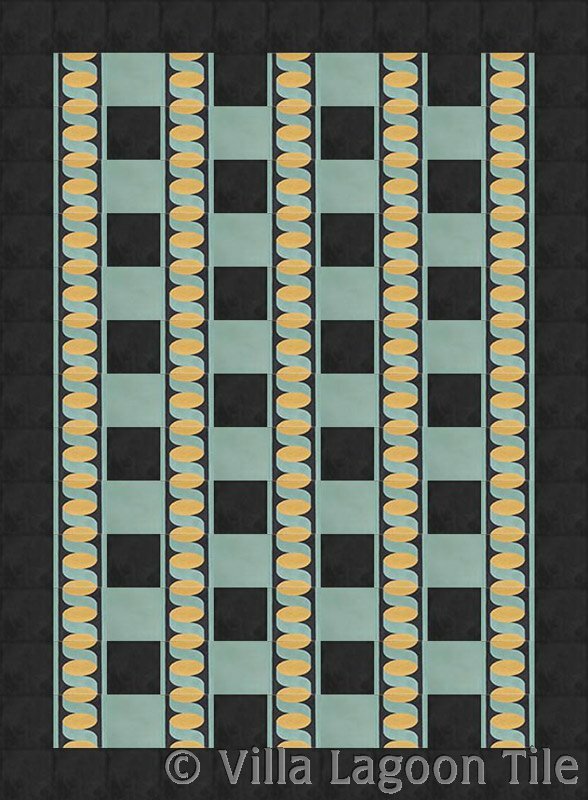 Or for a modern use a combination of solids and border tiles laid as a stripe. 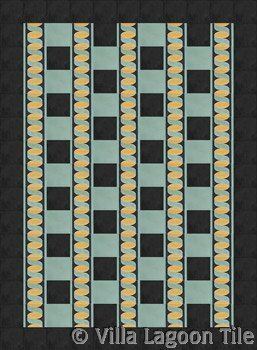 The traditional way to use mosaic cement tiles is to create a central area like a tile rug and use a border tile around it, and then coordinating solids out to the walls. 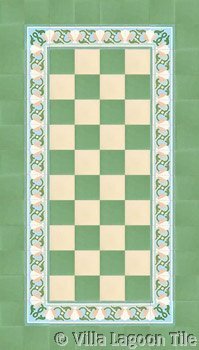 Here are many tile floor designs using patterned borders. 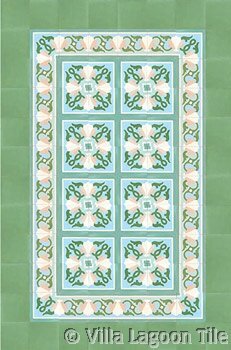 This glorious cement tile floor design was recently created by request. 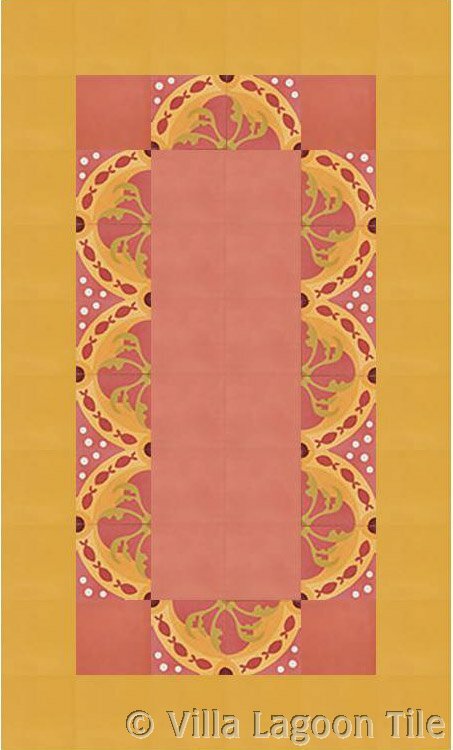 For mall its grandeur, it is a relatively inexpensive floor design due to the use of so many less pricey solid colors. 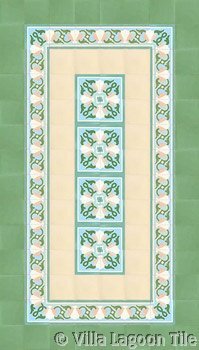 The few patterned tile that are used, as well chosen and give grand structure and a stately presence to this tile floor. 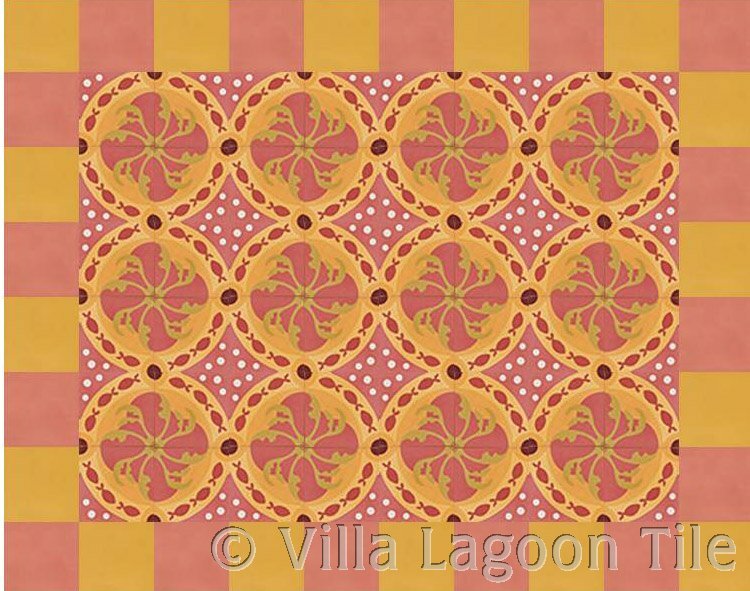 See the full size illustration & details here.